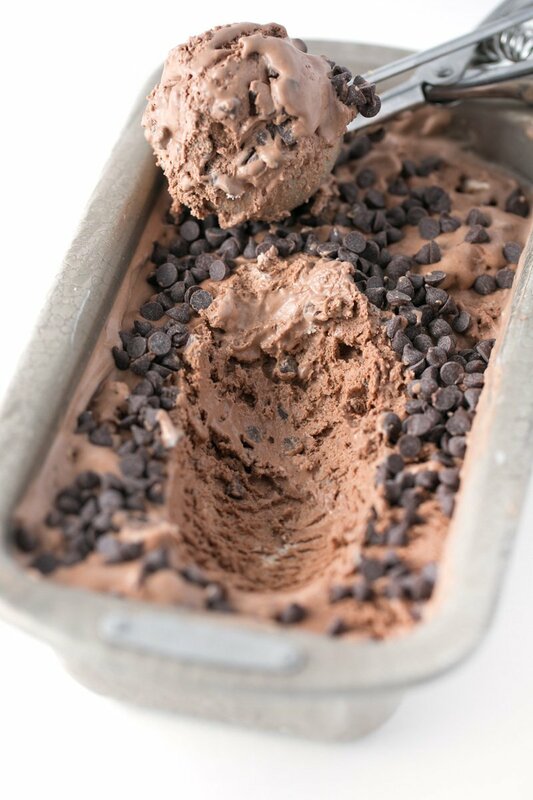 You don’t even need an ice cream maker OR stovetop to make this amazing, rich, and creamy chocolate no-churn ice cream. 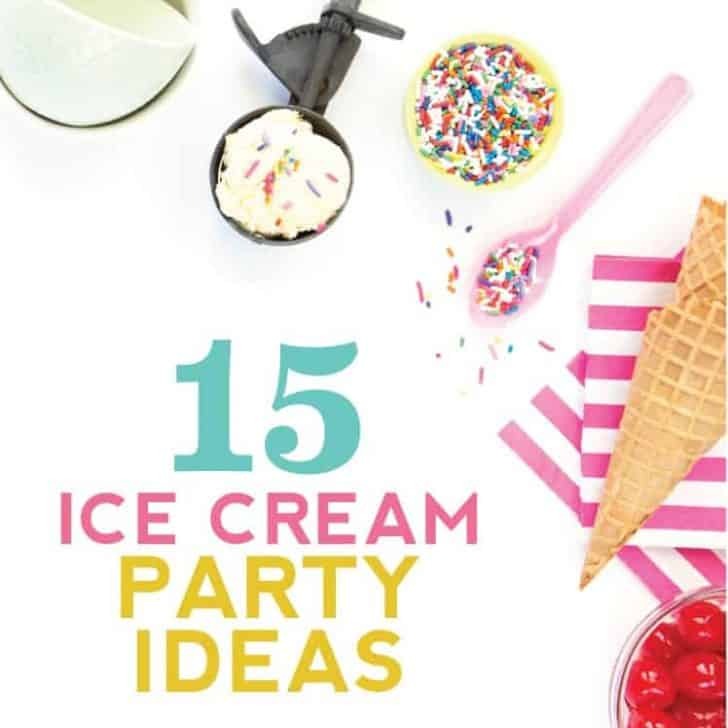 All you need is 4 ingredients, a hand mixer to whip the cream, and a spatula (and hand!) to stir it all together. 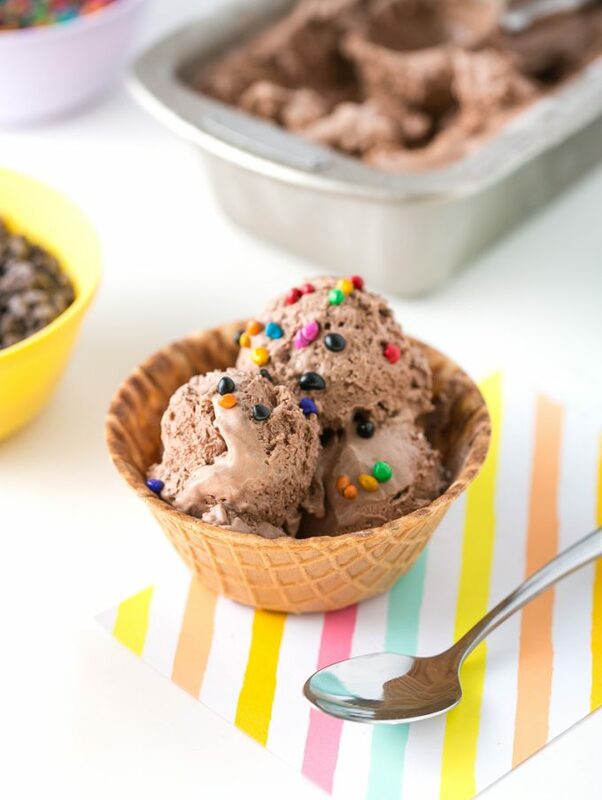 It’s not only a fun summer activity for kids, but tastes just like you bought a specialty chocolate ice cream from a shop (for much cheaper!). I’ve have had a hate-hate relationship over the years with my ice cream maker. Between losing the parts to having to plan 48 hours in advance to freeze the barrel (umm..I want ice cream NOW), to having to cook the custard base on the stove, to having it not “churn” properly and turn into a soupy mess, I decided it was time to tackle that no-churn ice cream life. 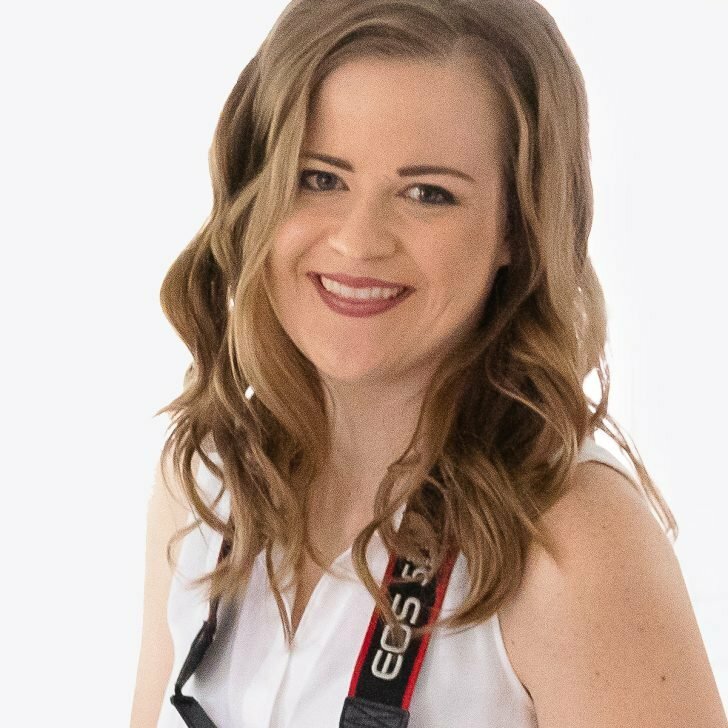 I remember seeing the concept of no-churn in magazines and cookbooks while I was younger but always thought no-churn meant no-good-flavor-or-texture. But little did I know that no-churn would be even better and creamier and easier and less messy and perfect than any ice cream I’ve ever made with an electric ice cream maker. 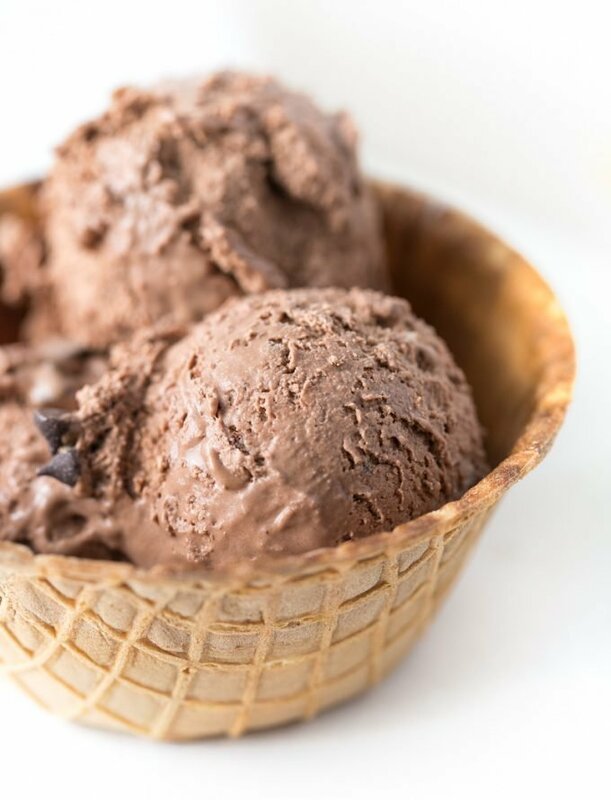 And from coming from a ice cream snob who is very picky about the quality taste of chocolate, trust me when I say that this is the perfect indulgence. 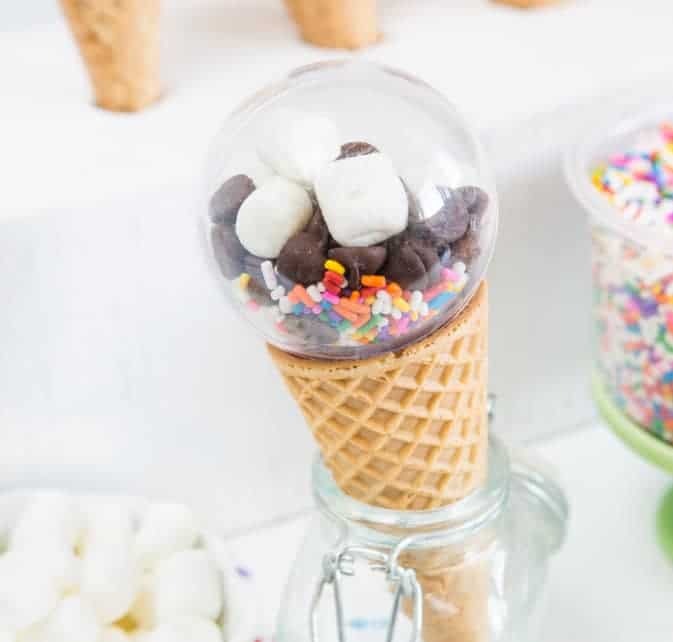 It might not win any awards for diet ice cream or be something you keep fully stashed (as that would be #dangerous), but the splurge is worth it for a easy summer treat and activity with the kids. 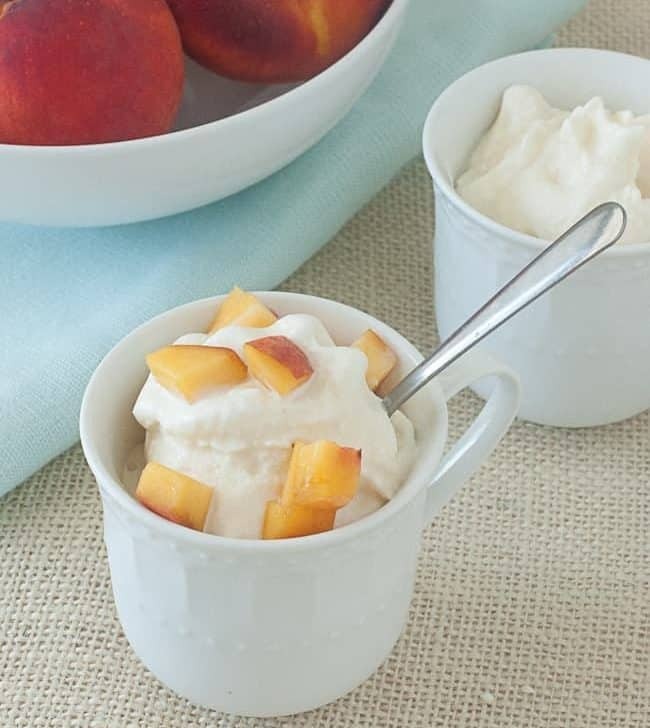 No Cooking Needed: Instead of using a standard custard base that you have to cook on the stove and cool before churning, no-churn ice cream uses a sweetened condensed base and whipped cream. 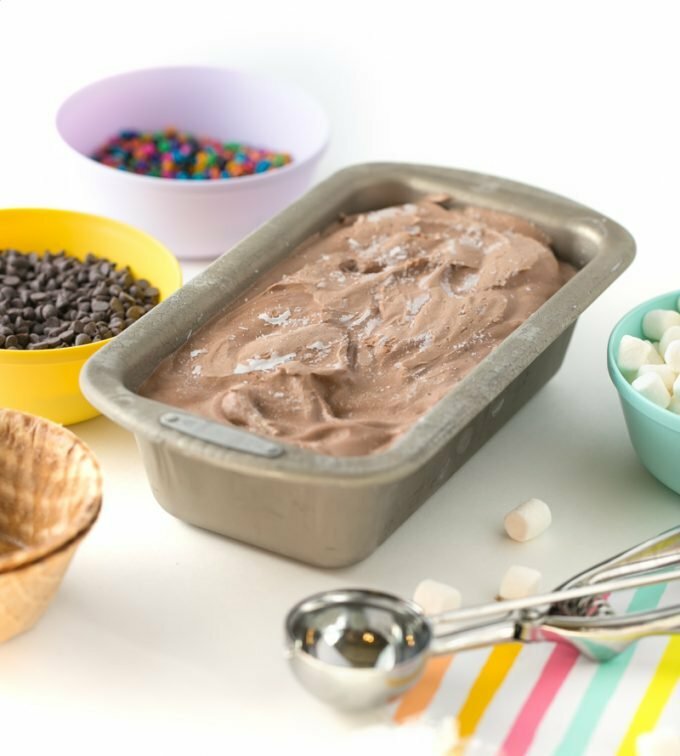 No Ice Cream Maker Needed: You can make this simply by stirring the ingredients in a bowl. 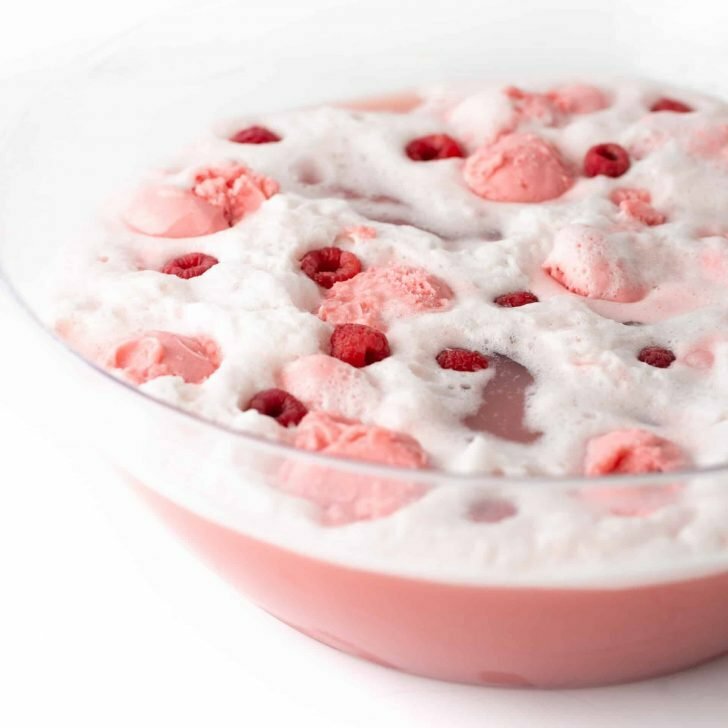 In a large bowl, use an electric mixer to whip the heavy cream until you get stiff peaks. As in, when you lift up the beater, the whipped cream stands at attention and doesn’t immediately “melt” back in. 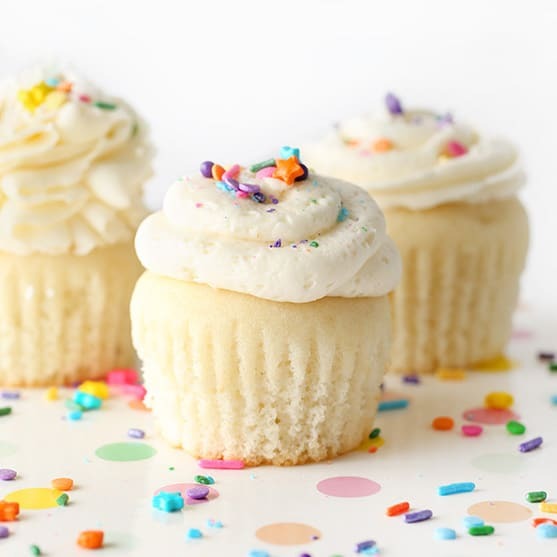 Do not overbeat – if your whipped cream starts to look “chunky” then stop the mixer immediately (or you’ll end up with butter!). Tip: If using a Kitchenaid stand mixer, my cream (straight from the fridge) was the perfect consistency when beat with the whisk attachment on Level 4 speed for 3-3.5 minutes. 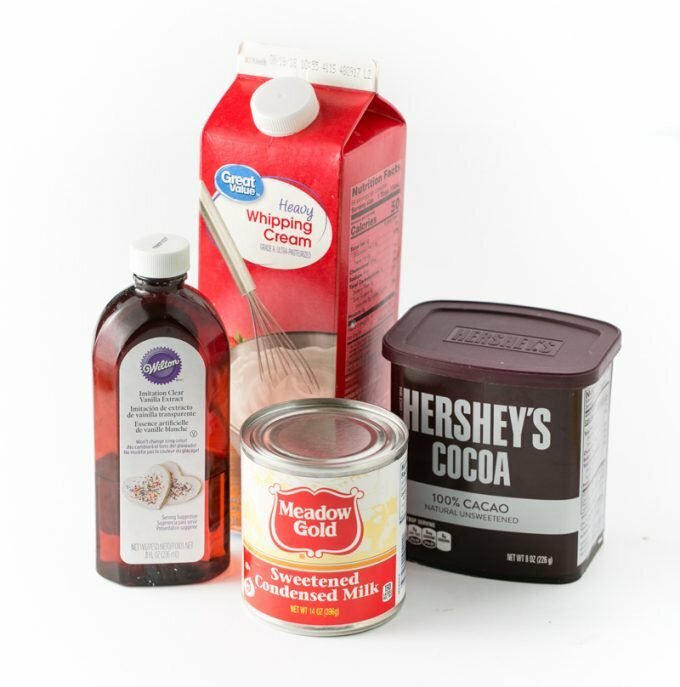 In a separate bowl, mix together the cocoa powder, can of sweetened condensed milk, and vanilla extract. I find the Hershey Unsweetened brand to be fabulous in terms of getting a rich chocolate flavor. Using a spatula (not a mixer! 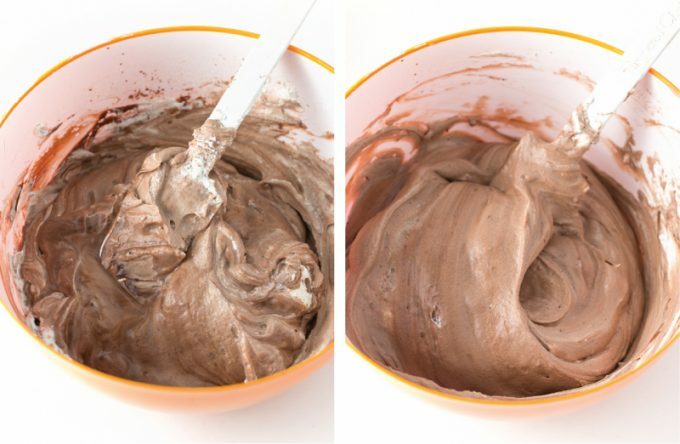 ), gently fold the whipped cream into the chocolate mixture until it is all combined. 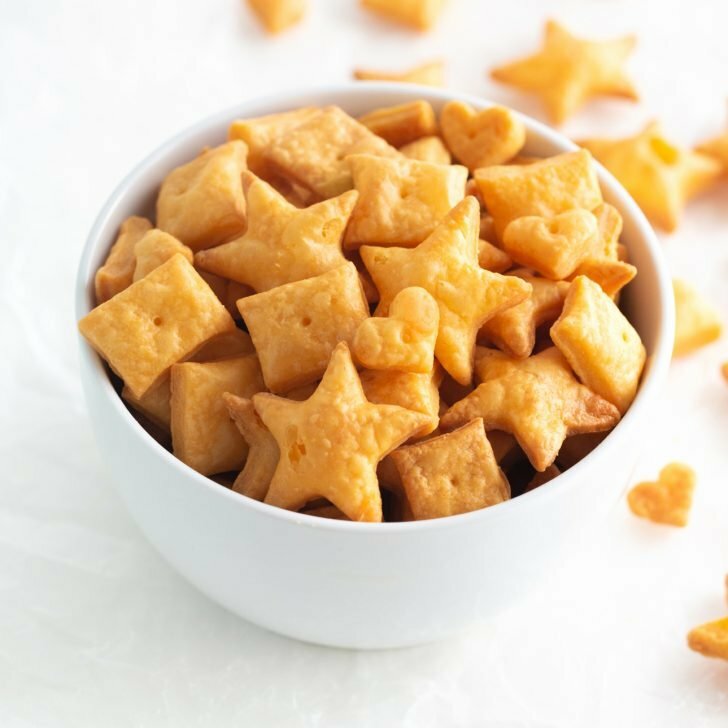 You do not want to use an electric mixer or stir this fast or you will lose some of the light texture. 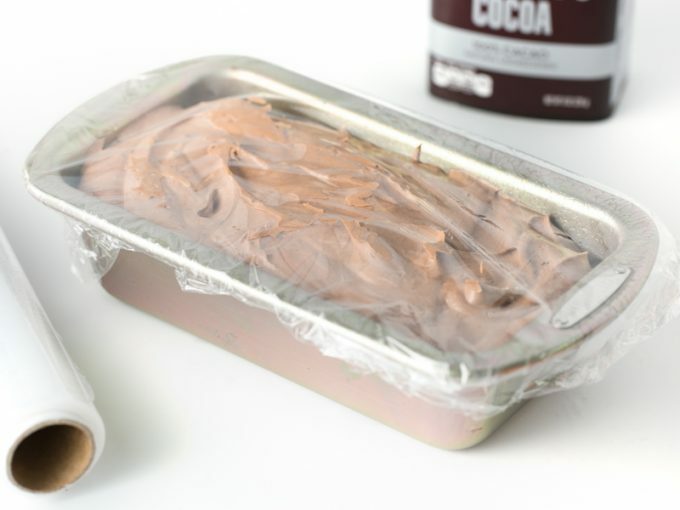 Pour the mixture into a 6 x 8″ sized metal loaf pan, cover with plastic wrap, and freeze for 6-8 hours (or overnight). 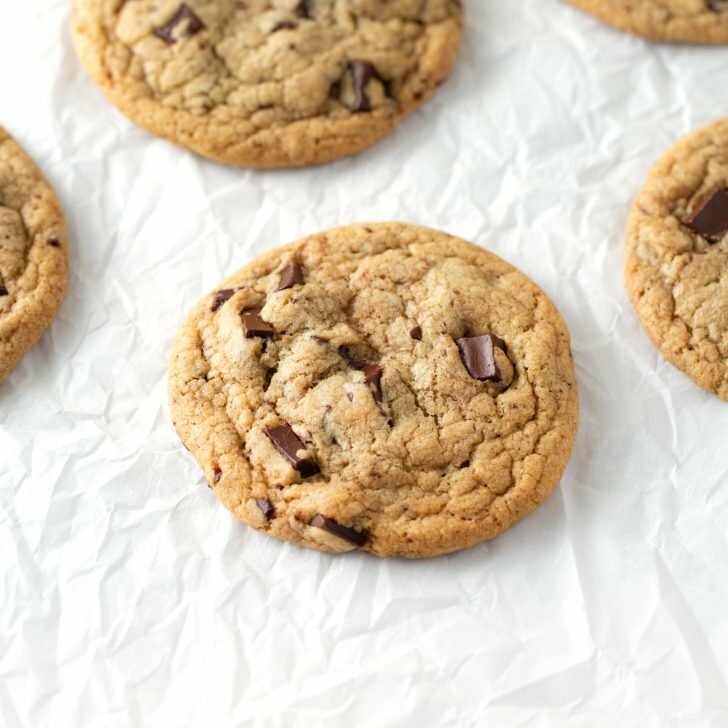 If desired, put a layer of mini chocolate chips on top. Step 5: Scoop, Top and Enjoy! 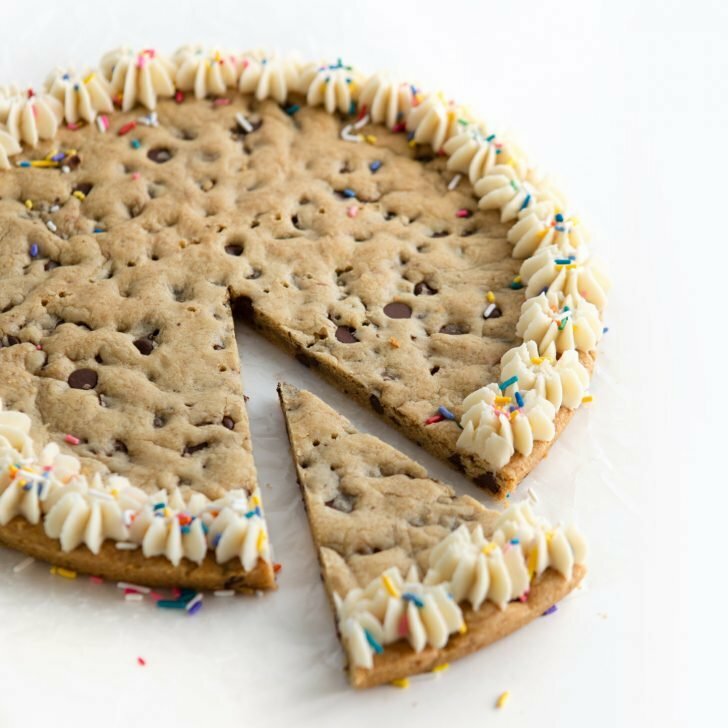 Mix in your favorite candy add-ins like chocolate chips, sprinkles, or marshmallows and enjoy! This no-churn ice cream will melt quicker than most store-bought brands, so eat it quickly if you’re putting it in a cone! 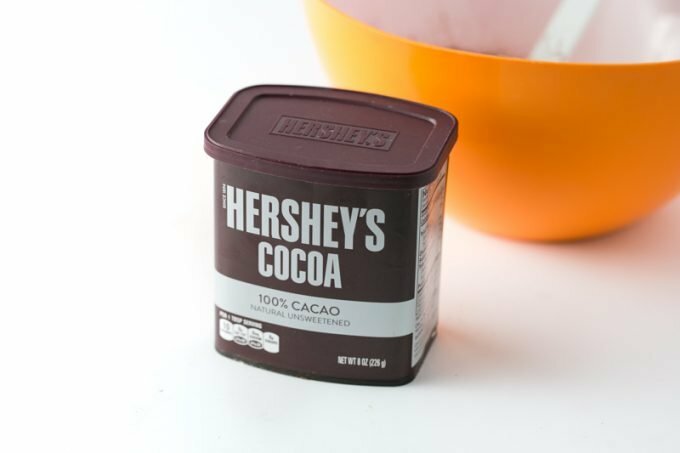 What brand of cocoa powder is best? I prefer Hershey’s unsweetened, as this produces a rich chocolate flavor. I probably wouldn’t recommend “Hershey’s Dark” as the regular kind is plenty rich, but might be worth a try if you are a mega chocolate fan! Yes, so unbelievably good (and I’m a ice cream snob). I was hesitant on making no-churn because I thought the taste and texture would be sacrificed but it’s truly so rich, creamy, and delicious. 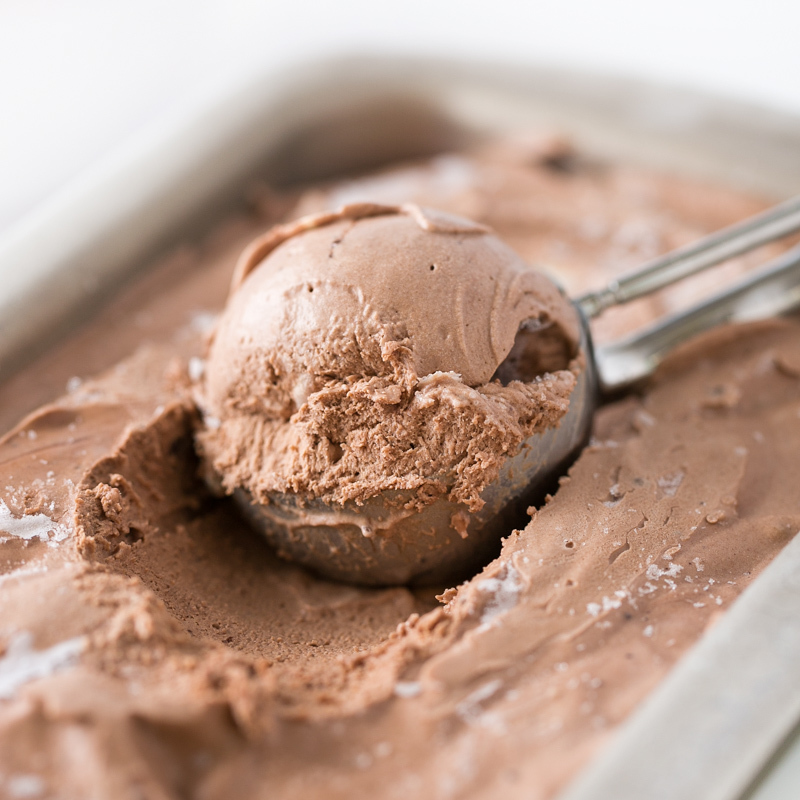 How long to freeze no-churn ice cream? This will typically be frozen enough to scoop within 6-8 hours but I prefer it overnight, as it will become even more stiff and scoopable. What containers to use for no-churn ice cream? A 6 x 8″ metal loaf pan will help it freeze faster, but you can also store it in a plastic container with a lid for more long-term storage. 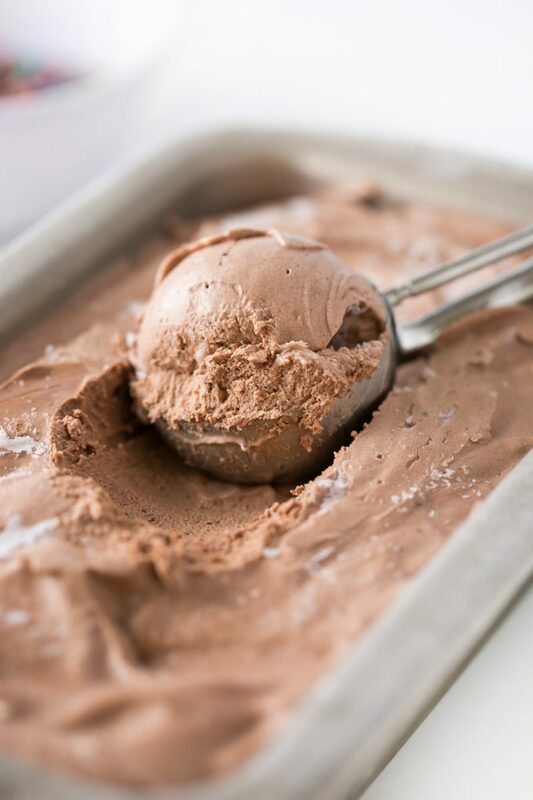 You don't even need an ice cream maker or stovetop needed to make this amazing, rich, and creamy no-churn chocolate ice cream. 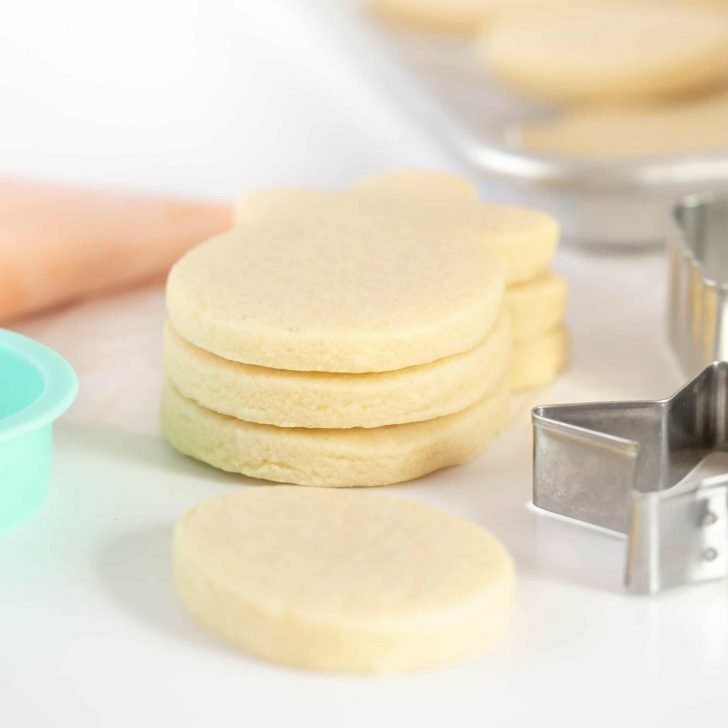 All you need is 3 ingredients, a hand mixer to whip the cream, and a spatula (and hand!) to stir it all together. 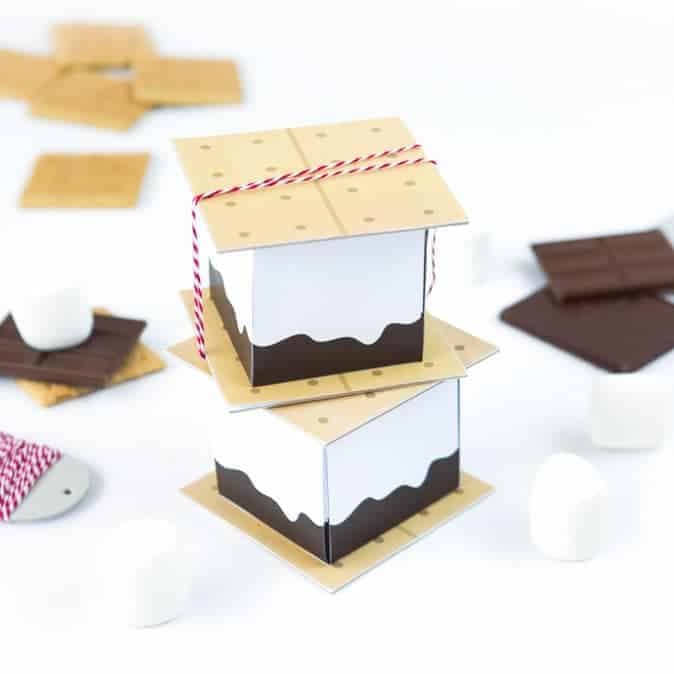 It's not only a fun summer activity for kids, but tastes just like you bought a specialty chocolate ice cream from a shop (for much cheaper!). 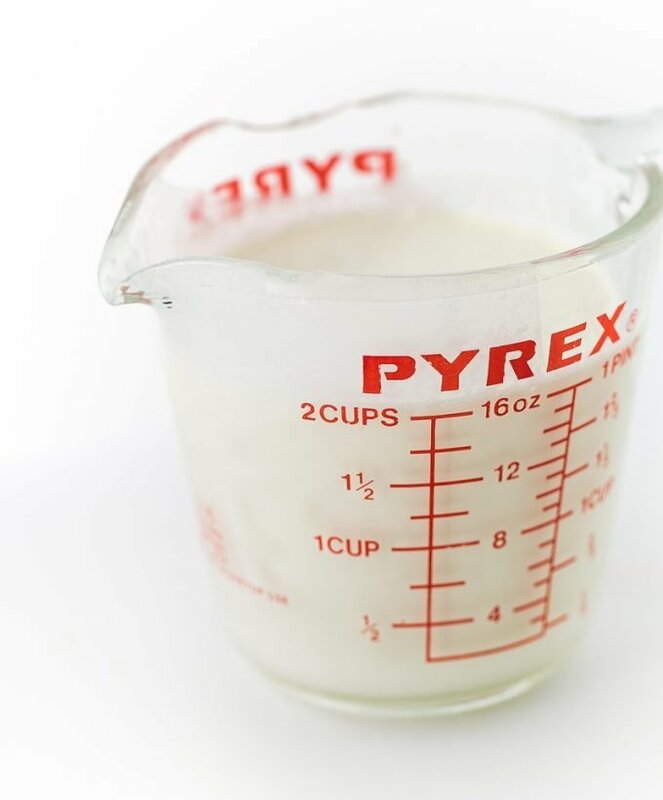 In a large bowl, use an electric mixer to whip the heavy cream until you get stiff peaks. As in, when you lift up the beater, the whipped cream stands at attention and doesn't immediately "melt" back in. Do not overbeat - if your whipped cream starts to look "chunky" then stop the mixer immediately (or you'll end up with butter!). Using a spatula (not a mixer! 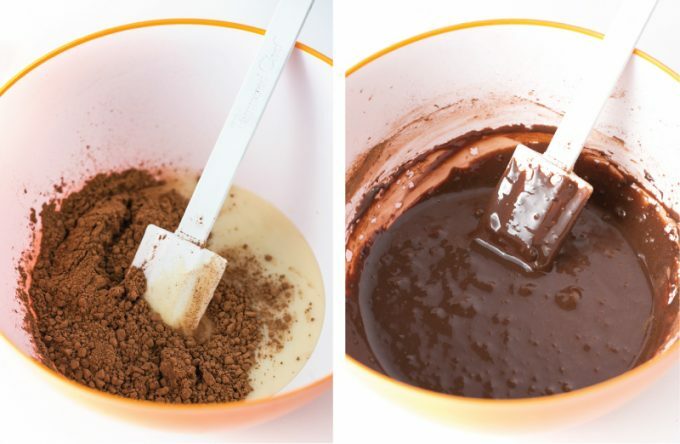 ), gently fold the whipped cream into the chocolate mixture until it is all combined. You do not want to use a electric mixer or stir this fast or you will lose some of the light texture. Pour the mixture into a 8x5" sized metal pan and freeze for 6-8 hours (or overnight). Recipe inspired by Martha Stewart's Famous Recipe. 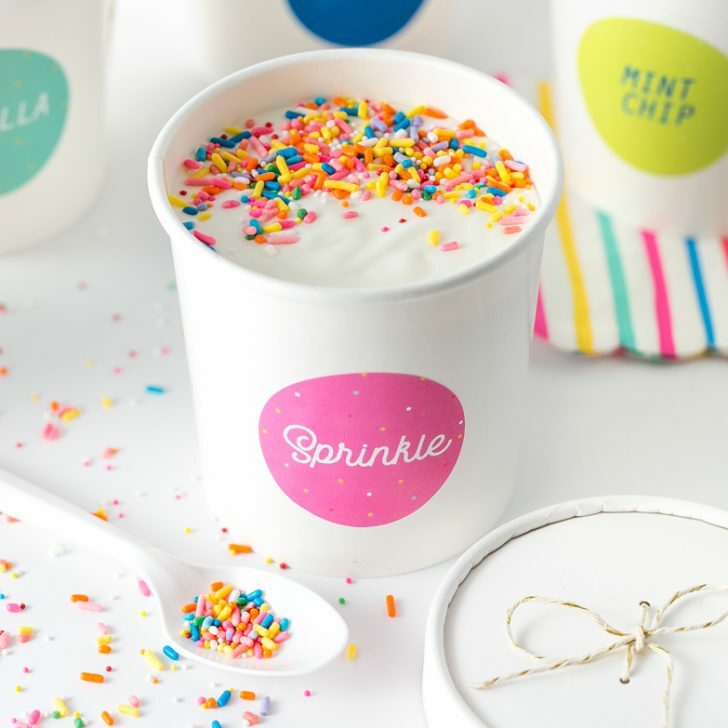 Gift in pint-sized paper cups with printable ice cream labels! You pretty much made my kid’s millennium! Let me know how you guys like it! !